This little town of Jansenville owes its origins to the Dutch Reformed Church which formed a parish there in 1854 and was named after the last Dutch Governor of the Cape. Jansenville is north of the Zuurberg Mountains in an area known as the Noorsveld, after a cactus-like succulent that abounds in the district. 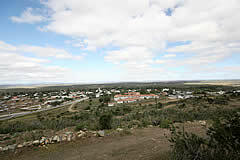 Between Jansenville and the Zuurberg to the south is a plain that marks the northern boundary of the Addo National Park, while to the north are some hills which are a scenic drive and, at the summit, shortly before the giddy descent down the Ratelskloof Pass, one has a spectacular view across the Camdeboo plains to the peaks of the Sneeuberg. Jansenville has a number of fine buildings, dominated by the large Dutch Reformed Church, a building in the basilican style made of local stone which is a heritage site. 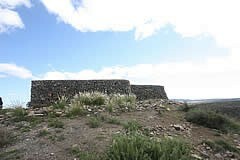 The Anglo-Boer War fort north of the town attests to the guerilla activity in the area in that conflict. The restored Sid Fourie House serves as a museum. Coupled to an overnight stay in Jansenville the museum offers travellers a welcome and interesting break in their journey through the Karoo Heartland. Prior to the coming of the white man, the area in general was inhabited by the nomadic Khoi (the "Hottentots") and the pastoral Xhosa. Late in the 18th century, the area became known to the Dutch who named the river the Zondagh, after a settler. After the occupation of the Cape by the British the name transmuted to the Sundays. The actual site of the town was first surveyed in 1814 and named Vergenoegd. 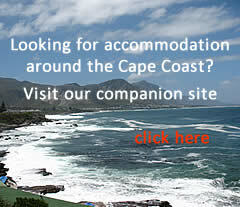 This property was acquired in 1820 by Christiaan Ernst Schutte. He and his successor moved north and in 1838 Vergenoegd became the property of Petrus Jacobus Fourie from Swellendam who began to cultivate the land along the river. This was the beginning of Jansenville history as a matter of record. 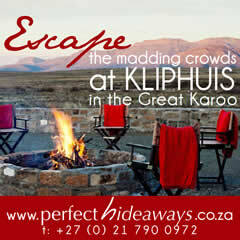 The wagon trail from Port Elizabeth to Graaff-Reinet passed through Vergenoegd which increased the number of people in the area. 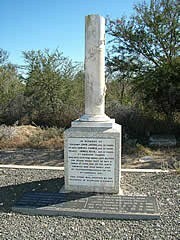 In 1853, Fourie arranged for the surveying and laying out of 80 plots on his property in order to establish a town. He had intended the town to be named Alexandria after Dutch Reformed minister Alexander Smith of Uitenhage who visited the congregation once a quarter. In the event, by the time the application had reached Cape Town, the name Alexandria has already been granted to another settlement so the place was then named Jansenville, after General Janssens, the last Dutch Governor at the Cape. In 1874 work began on the first bridge over the Sundays River at Jansenville which was completed the following year (below the estimated cost!). To-day the piers of this bridge stand next to the present bridge. 1876 saw the establishment of a police station at Jansenville with a force of two constables as well as the appointment of a magistrate. 1907 saw a remarkable storm which de-roofed or destroyed 22 houses in the little town. On 30th October 1941, with the Sundays River almost dry, there fell upstream 275mm of rain in one day. A few hours later water was flowing over the 13m high bridge. The lower part of the town was destroyed as were the farmlands along the river. The outbreak of the Anglo-Boer War caused something of a rift in the community, with some supporting the British while many sympathised with the Boers. A Town Guard was formed in Jansenville and three blockhouses erected; one on a knoll by the bridge, one at the main crossroads in town and the third (The "Fort") on the hill just north of the town where it can be seen to this day. Jan Smuts and his commando entered the Cape in 1901 with a view to raising the "Cape Dutch" in rebellion although only small numbers joined him. In the event, Jansenville was never attacked although a small engagement took place at Blaauwkrantz, some 20 km north of town. A somewhat larger engagement also took place in 1901 near Klipplaat between some 300 men of Kritzinger's Commando and a patrol of West Australians and 7th Dragoon Guards who were covering the right flank of a column advancing from Uniondale towards Klipplaat. It was on a Sunday in January 1901 that the volunteers who had formed themselves into a Town Guard at Jansenville, supplemented by British troops, all under a Captain Gould, began the construction of the Jansenville Fort. This stone fort still stands prominently on a high hill on the west side of the Graaff-Reinet road to the north of the town. The Town Guard also erected a blockhouse on a knoll by the bridge over the Sundays River and another at the intersection of Main and Bridge streets, but these have long since vanished. The remaining fort at Jansenville measures about 21 x 15 m overall. The outer walls survive in their full circuit to a height of approximately 2 metres, varying in thickness from 800 to 1 200 mm, and all are provided with tapered loopholes, staggered between two levels at intervals of between 1 and 1,2 metres. In addition, the south and west walls have internal offsets, 150 mm wide, beneath the two rows of loopholes, while the other two walls have only a single offset beneath the upper loopholes. The entrance to the fort is at the south-east corner and has a right-angled turn in its passage. This feature, along with the small section behind it, project beyond the main east wall. In the middle of the fort was a detached block, which formed two rooms or enclosures, both of which could be entered by several doorways, protected externally by curved screen walls, presumably to shield the occupants from possible stray bullets which could have passed through the loopholes in the outer walls. These rooms may have been roofed and could have served as officers' quarters or as shelters in wet weather. A survey trigonometrical beacon has subsequently been erected in the west room. The fort walls are all built of unmortared masonry and their good condition after nearly a century is a tribute both to the Town Guard builders and to the present inhabitants of Jansenville for not vandalising the remains. 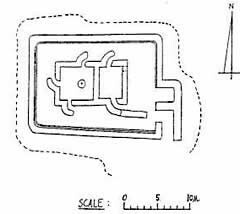 Another interesting feature is that, before commencing construction of the fort, the builders levelled the hilltop to form a roughly flat platform which projects 2 or 3 m beyond the outer walls and is edged with larger stones. 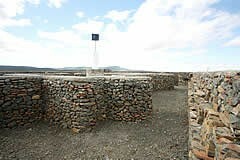 This is a sophistication which is generally found only with blockhouses constructed under the supervision of the Royal Engineers. Jansenville Fort may not have seen much action during the war, but the surrounding district was by no means without incident. 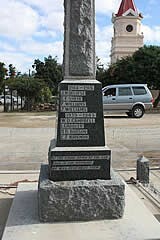 On 21 March 1901, a clash between a Boer commando and a British force at Blaankrantz, 20 km north of the town, resulted in three British soldiers being killed and one Boer wounded. During the First World War a number of Jansenville's sons volunteered to serve against the rebels within the country, against the Germans in East Africa as well as on the western front. Of the fourteen who went to France only three returned. During the Second World War little Jansenville distinguished itself in a small way at the disastrous fall of Tobruk in 1942 when the 2nd South African Division and other allied units had to surrender to the Germans. Lieutenant Cecil Featherstone, born and bred in Jansenville, declined to surrender and, leading a small convoy, succeeded in evading the enemy forces and bringing 46 men back to the allied lines to fight again. Jansenville also provided the highest per capita number of volunteers for the forces of any place in South Africa during the war.